Samsung has announced it would ask all global partners to stop sales and exchanges of Galaxy Note 7 while further investigation takes place. The tech giant has also urged owners, either of an original Galaxy Note7 or replacement Galaxy Note7 device, to “power down and stop using the device and take advantage of the remedies available”. “We are working with relevant regulatory bodies to investigate the recently reported cases involving the Galaxy Note7. Because consumers’ safety remains our top priority, Samsung will ask all carrier and retail partners globally to stop sales and exchanges of the Galaxy Note7 while the investigation is taking place,” Samsung said in a statement. According to the BBC, Samsung recalled 2.5 million phones in September after complaints of exploding batteries. 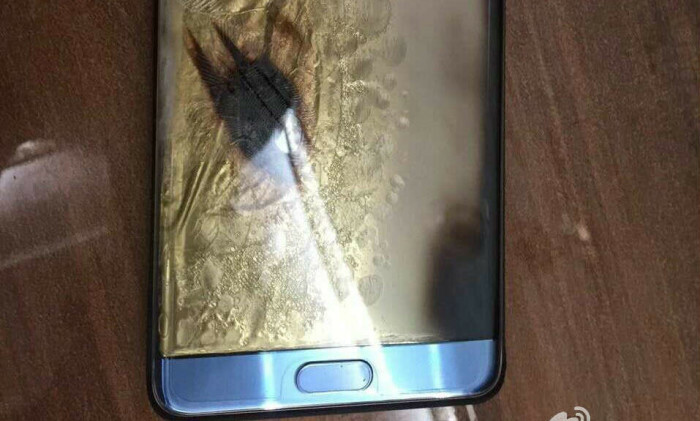 The company reassured customers that the replaced devices were safe, yet recent reports had revealed some replaced Note 7 once again caught fire. A man in Kentucky, US, said he woke to a bedroom full of smoke from a replaced Note 7 this Sunday, while a Southwest Airlines plane in the US was evacuated after another replacement Note 7 started emitting smoke in the cabin last Wednesday. Samsung shares closed down 6.85% in the Korean trading session this morning, while Apple’s shares bounced 1.99% to $116.06 on Monday, hitting $116.75, the highest level since December 2015. While Apple’s iPhone conquer the iOS system, Samsung’s mobile device used to crown king in the competitive Andriod system with its reputation of high-quality product. The latest Galaxy Note 7 incident may have a serious impact on its brand image. Data analysis is pushing soccer analysts and Paul the Octopus aside as leading tech companies have been scrambling to showcase the..